Extra beautiful luxury wig with beard + mustache + eyebrows.This is our own design luxury Santa Claus beard. This synthetic set consists of Santa Claus wig + beard + mustache + 2 eyebrows. 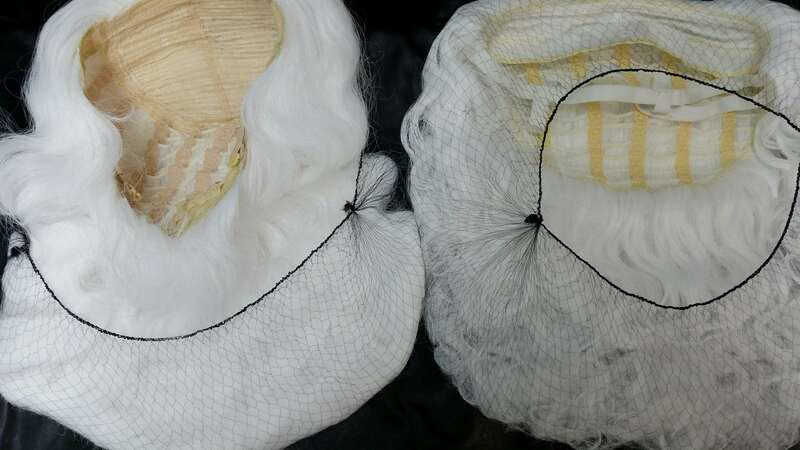 Wig consists of an elastic hairnet and is adjustable by the elastic bands on the inside. The beard also has an elastic net and chin pocket. This is a special combination of wavy wig hair and curly beard hair. See backside Wig + beard.